Optimization of the chemical propulsion design for Geostationary Transfer Orbit (GTO) injection. Adaptation of the payload capacities for medium sized missions of 300 kg payload mass and 2,8 kW payload power. Enlargement of the modular telemetry product-line to S- and Ka-Band, as well as implementation of secure encryption electronics. Specific Equipment design modifications to improve cost of power- and data electronics. 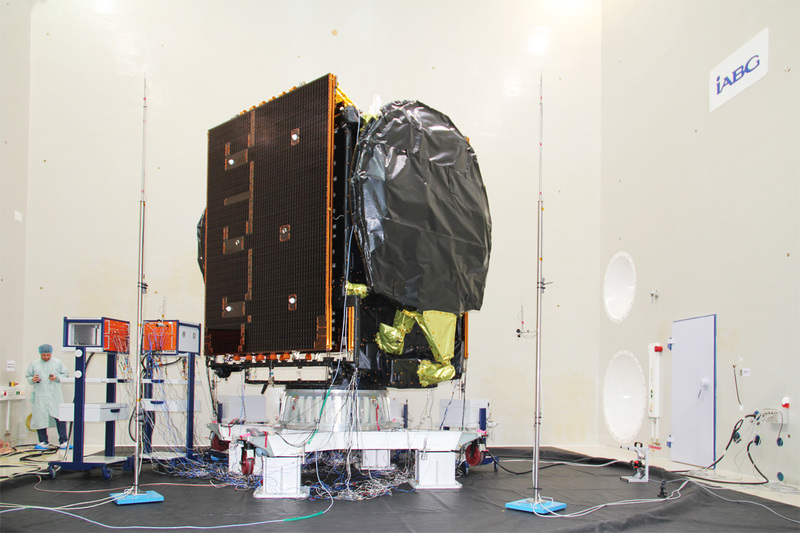 The dedicated EDRS-C Satellite will embark a Data Relay Payload including a Laser Communication Terminal (LCT) for the inter satellite link and a Ka-Band antenna for the data transfer link to the ground stations in Europe. Every second the data of up to 1800 Megabit can be transferred over a distance of 45.000 km in the speed of light. Furthermore, a Hosted Payload (HP) from the commercial operator Avanti Communications named “HYLAS-3” will be embarked on the satellite. The decision to go ahead with EDRS under German lead management was made at the ESA council of ministers conference in Den Haag in 2008. It is now being implemented under the industrial leadership of Astrium in Germany with the support of the German Federal Ministry of Economics and Technology (BMWi) and the German Aerospace Center (DLR). The contract between OHB System AG and Airbus Defence & Space for Phase C/D/E has been signed in May 2013. OHB System AG is prime contractor for the entire satellite. The data relais payload including LCT is being supplied by Tesat-Spacecom. 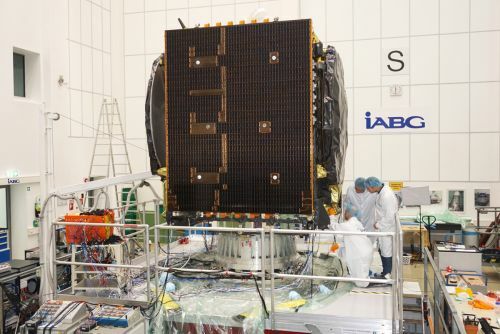 Based on the SmallGEO platform developed by OHB as part of ESA’s Advanced Research in Telecommunications Systems (ARTES) program, the EDRS-C telecommunications satellite is expected to be launched in the second quarter of 2019. There, it will join the first satellite EDRS-A at an altitude of 36,000 kilometers. The relay satellite’s geostationary position will offer advantages for future Earth observation missions as it will be possible for the data to be accessed in close to real time. This is why it is frequently referred to as the SpaceDataHighway. A further advantage is the encrypted data downlink to the Earth. 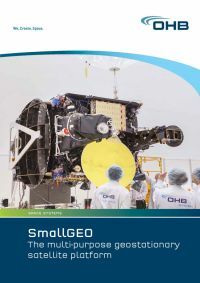 The SmallGEO satellite platform has been modified to meet the specific requirements of this mission: design adjustments have been made to accommodate the special requirements of the optical payload, while the modular telemetrics payload has been widened to include the S and Ka band. In addition, secure encryption electronics have been installed. The dedicated EDRS-C satellite is fitted with a data relay payload with a laser communications terminal (LCT) for satellite-to-satellite links. Both have been supplied by Tesat-Spacecom. The Ka band antenna will ensure data links with ground stations in Europe at transmission speeds of up to 1.8 Gbps. Also on board the satellite is a hosted payload known as “HYLAS-3” provided by Avanti Communications. OHB System AG has developed and built the satellite in a contract for Airbus. Information on the European Data Relay System can be found on the ESA website.